Dissertation title: "An Operational Model of Regional Sustainable Economic Development." Thesis title: "Preservation of Migratory Waterfowl Habitat in North Dakota: Landowner Attitudes and Recommended Strategies." 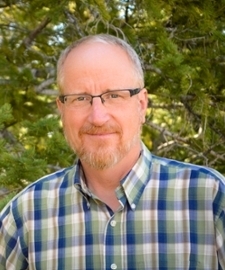 Steve Smutko is the University of Wyoming's Spicer Chair in Collaborative Practice and a professor in the Haub School of Environment and Natural Resources and the Department of Agricultural and Applied Economics. He has designed, convened, and facilitated numerous public policy decision processes on natural resources issues in the Rocky Mountain West and the southeast United States. Dr. Smutko also conducts research in collaborative decision-making and teaches courses in environmental decision making and negotiation analysis. Smutko, L.S. and M.L Addor. “The Resilience and Power of Heterarchical Leadership.” In Environmental Leadership: A Reference Handbook, Deborah R. Gallagher, ed. Thousand Oaks, CA: Sage Press. 2012. Keske, C.M. and L.S. Smutko. “Using audience response system technology (ARS) to assess community preferences for extraction and recreation.” J. of Sustainable Tourism, 18(8): 951-970. 2010. J.W. Robinson and L.S. Smutko “The Role of Conflict in Community Development.” In An Introduction to Community Development: Theory and Practice, J.W. Robinson and G.P. Green, eds. Sage Press, 2010. Addor, M.L, Denckla, T, Dukes, E.F., M. Ellerbrock, and L.S. Smutko, "Theory to Practice Model: The Natural Resources Leadership Institute." Conflict Resolution Quarterly. 23(2): 203-23. 2006. Western Governors Association Species Conservation and ESA Initiative. Assist the Western Governors Association and the Office of Wyoming Governor Matt Mead to design and facilitate a robust and bipartisan conversation regarding species conservation and the ESA. October 2015-present. Pole Mountain Travel Management Process. Develop a public involvement program for the US Forest Service’s travel management planning efforts on the Medicine Bow National Forest. The focus of this project was to develop a pre-NEPA information sharing process that enables the Forest Service to develop a proposed action that incorporates the interests and values of stakeholders in the region. May – October 2015. Laramie County Control Area Steering Committee. Provide decision-making assistance to a committee appointed by the Laramie County (Cheyenne) Board of County Commissioners to provide recommendations to the Wyoming State Engineer on ways to reduce groundwater consumption from the High Plains Aquifer system. This high-profile, precedent setting project is the first of its kind in Wyoming and is a model for future groundwater regulatory processes in the state. December 2014 – March 2016. Greater Yellowstone Coordinating Committee Public Listening Session. Designed and conducted public listening sessions on issues related to landscape-scale ecological management in the Greater Yellowstone Ecosystem. Jackson, WY March 2013, Bozeman, MT October 2014, Cody, WY April 2015. The Wyoming Governor's Task Force on Forests. Assisted the Wyoming Office of the Governor to design and lead a multi-party decision making process for developing policy recommendations for forest restoration in Wyoming's forests. Resulted in a set of consensus recommendations on issues as varied as biofuels production and use, roadless areas, enhancement of NEPA processes, and invasive species control. October 2013 – present. Assessment of Issues and Stakeholders Related to the Stabilization of Oregon Inlet, Dare County, NC. Conducted an assessment of the potential for a collaborative decision making process on issues related to stabilization of the Oregon Inlet in coastal North Carolina. Contracted with Dare County, North Carolina. March – September 2013. Public Participation in Forest Treatments in Teton Canyon, Wyoming. Working with the US Forest Service, Caribou-Targhee National Forest. The objective was to create a pre-NEPA public involvement process for developing a preferred alternative for forest treatments and habitat improvement in Teton Canyon. May 2013 – December 2013. Brucellosis Issues in Wyoming, Montana, and Idaho. The Ruckelshaus Institute, in cooperation with the National Wildlife Federation and the Murie Center initiated a project to reinvigorate interagency cooperation around Yellowstone Bison management and Brucellosis control with funding from the Ladd Family Foundation and the Turner Foundation. The objective was to provide a neutral forum for federal, state, and tribal representatives involved in bison management and brucellosis control in the GYA to come together to take a fresh look at the situation, and re-launch their commitments to look for meaningful and effective approaches to manage bison in the GYA. The Institute planned, organized, facilitated, and summarized two inter-agency meetings. July 2011 – April 2012. Upper Green River Basin Air Quality Citizens Advisory Task Force. Assembled and led 23-member task force of representatives of industry, community, local government, and conservation organizations. The purpose of the task force is to advise and make recommendations to the Wyoming Department of Environmental Quality on approaches to reduce winter time ozone levels associated with energy development in Upper Green River Basin Ozone Nonattainment Area. Coalbed Methane Produced Water Permitting Strategy. Contracted with the Wyoming Dept. of Environmental Quality to design and conducted a collaborative decision process to develop recommendations on a new strategy for permitting water discharges from coalbed methane production wells. December 2009 – present. Transitioning to an Actual Cost Method for the NC Nutrient Offset Payment Program. Contracted with the NC DENR Ecosystem Enhancement Program to develop a stakeholder-driven decision making process for establishing a pricing mechanism for North Carolina’s nutrient offset payment program. December 2008 – June 2009. Recreational Use on the Chattooga River. Contracted by the US Forest Service to design and conduct a capacity analysis and subsequent National Environmental Policy Act (NEPA) assessment to enable joint decision making among the Forest Service and key stakeholders. March – December 2007. For more information about Dr. Smutko's expertise, publications, and projects, please click here to view his CV.